Why Mango Tango is special ? 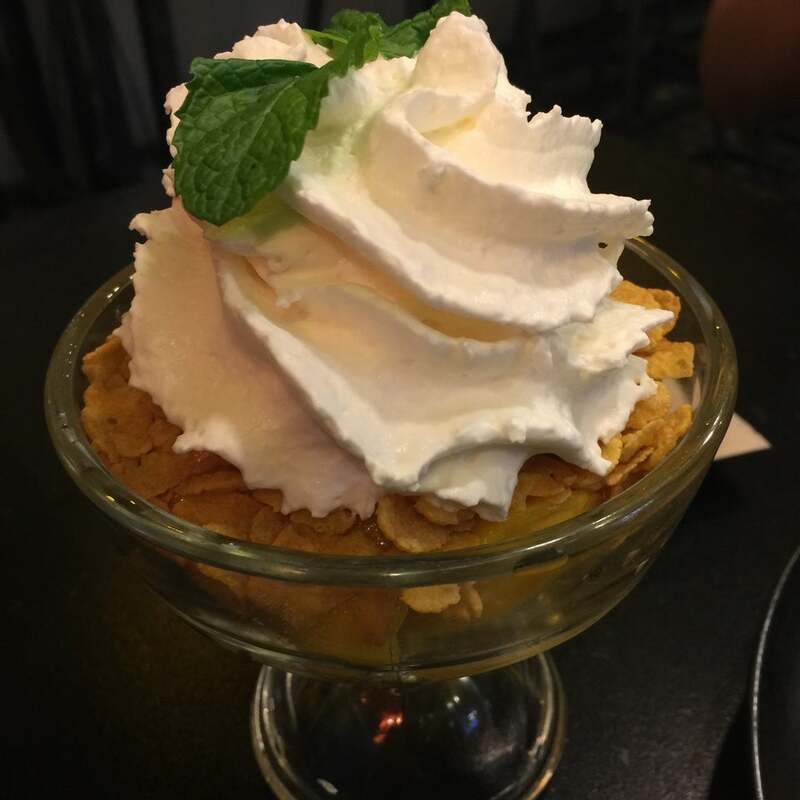 Mango Tango is a small dessert shop which specialises in mango desserts (pudding, beverage, ice cream and the Thai classic Mango Stick Rice) tucked away at a corner of Siam Square Soi 5. 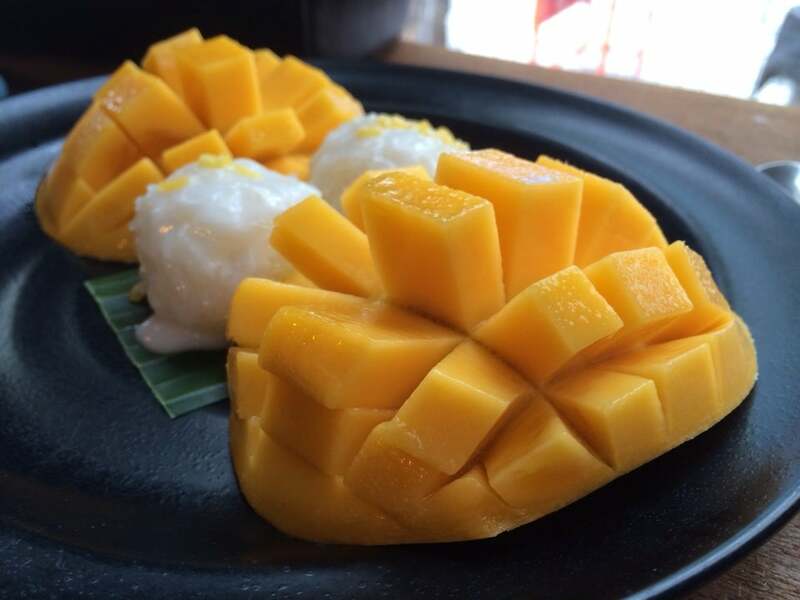 If you are a fan of Mango or Mango Sticky Rice, look no further. Mango Tango serves the best Mango Sticky Rice. 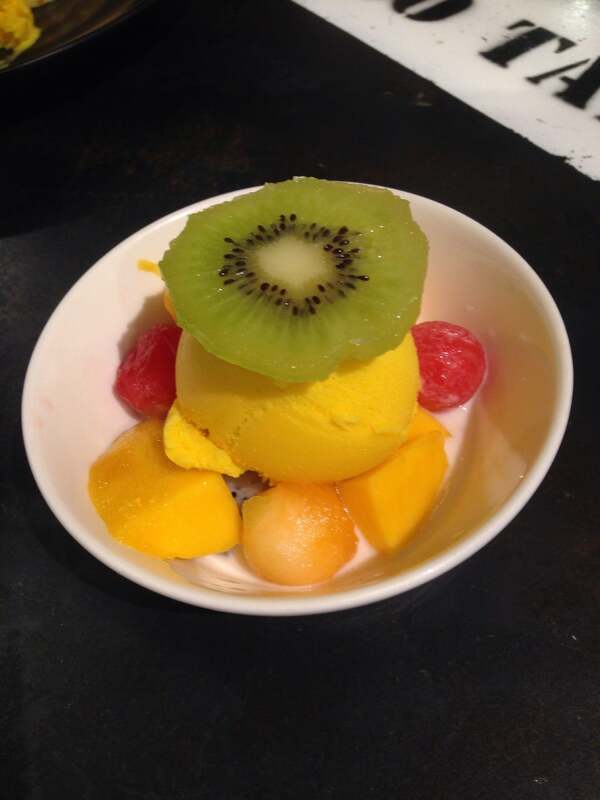 Mango Tango also serves other desserts such as Kiwi, Strawberry, Watermelon and Apple, but the bulk of it's offerings are about Mango. Even if you are someone who does not fancy Mango, it is advisable to give Mango Tango a try. How to get to Mango Tango? 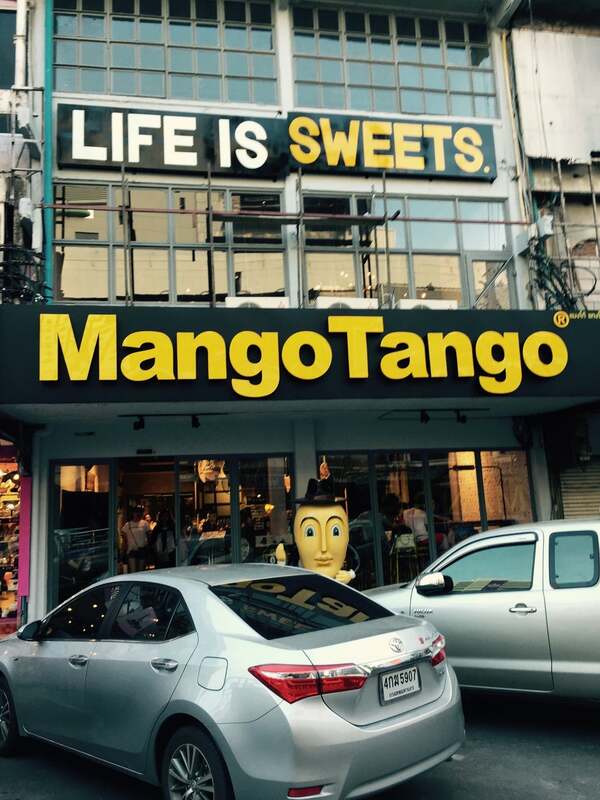 Mango Tango is located at a corner of Siam Square Soi 5. The nearest station is Siam BTS Station. Orders and payment are completed at the entrance before you find yourself a table. They have several seats outside where customers can sit while queuing. Mango Tango is opposite two well-known restaurants; Som Tam Nua and Ban Khun Mae. They have a rule of each person must order an individual dessert before you are allowed a seat. There is a stall just beside Mango Tango that sells quite decent Thai Pandan pastries. This is everything about mango. 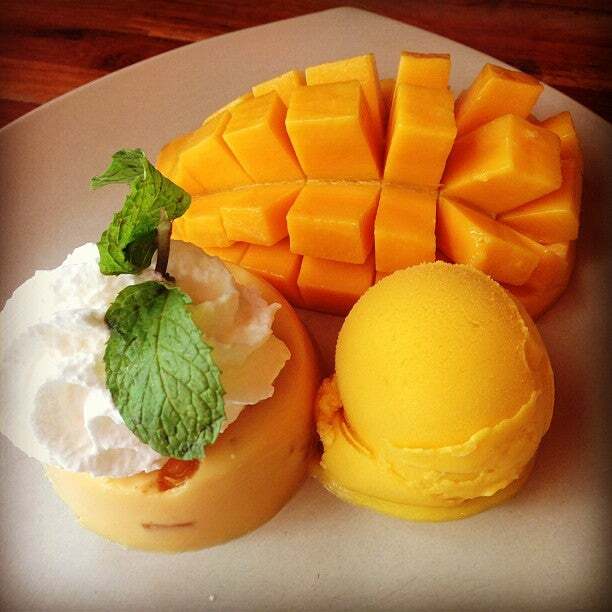 They have mango pudding, ice cream, the famous Thai mango & sticky rice, and lots of different deserts. The service was kind and super fast, but the seating area is so small. It gets crowded particularly after dinner. This is the place to have dessert after having lunch or dinner at the Siam shopping center (it's not in the mall but crossing the street.) You cannot tell that you visited Bangkok if you didn't go to Mango Tango! The name says it all,every dessert is based on mango. 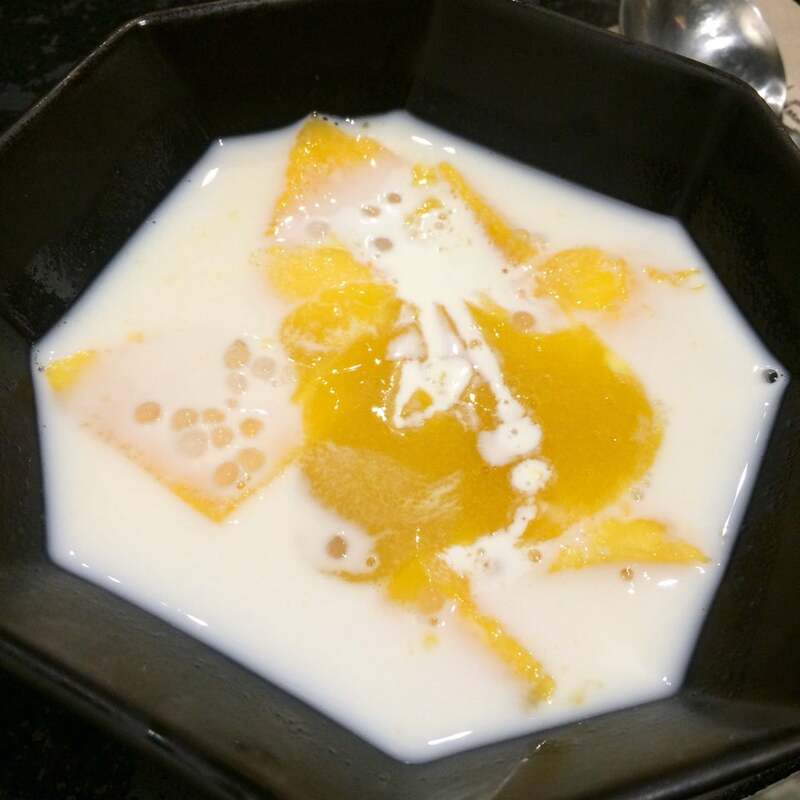 Try the mango ice cream with mango pudding accompanied by a slice of mango. It will make your tongue tango..